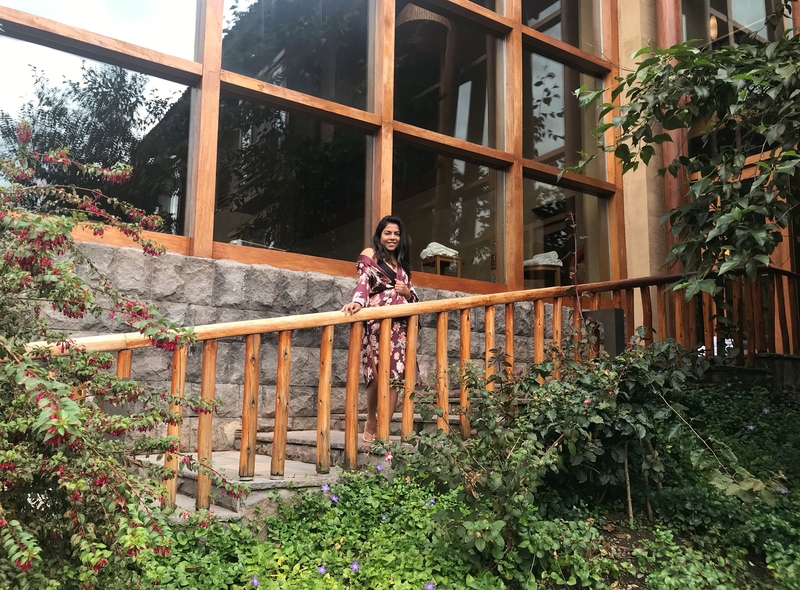 I decided to make my first blog post on my trip to Peru about where I stayed when I visited Machu Picchu and the Sacred Valley. Finding the right lodging for this portion of the trip was probably what took the most time while doing my research, but I’m glad I took the extra time to find the right resort, because when I did, everything else fell into place. You have probably heard of the two most popular location options: Cusco and Aguascalientes. The latter is the town at the base of Machu Picchu. This is probably the closest point to Machu Picchu, besides a lodge located right by the Machu Picchu entrance. There are also some inexpensive options for lodging in Aguascalientes; however, that town felt a little crowded and most of what came up in my search were hostels…not exactly what I was looking for. Cusco, on the other hand, had several hotel and hostel options, but it was rather far from Machu Picchu (three hour train ride). Beautiful view from the entrance of the resort: Tambo del Inka Resort and Spa. The happy medium turned out to be Urubamba, located in the heart of the Sacred Valley. 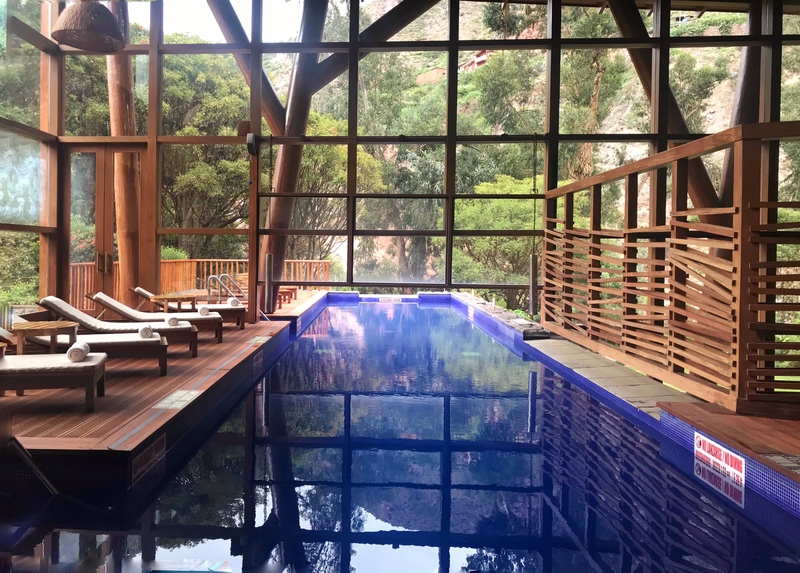 My recommendation is to make your trip extra special and memorable by staying at Tambo del Inka (to be clear, this is not an ad or sponsored post). The property is an SPG Luxury Collection resort. While it’s not cheap, you get what you pay for. 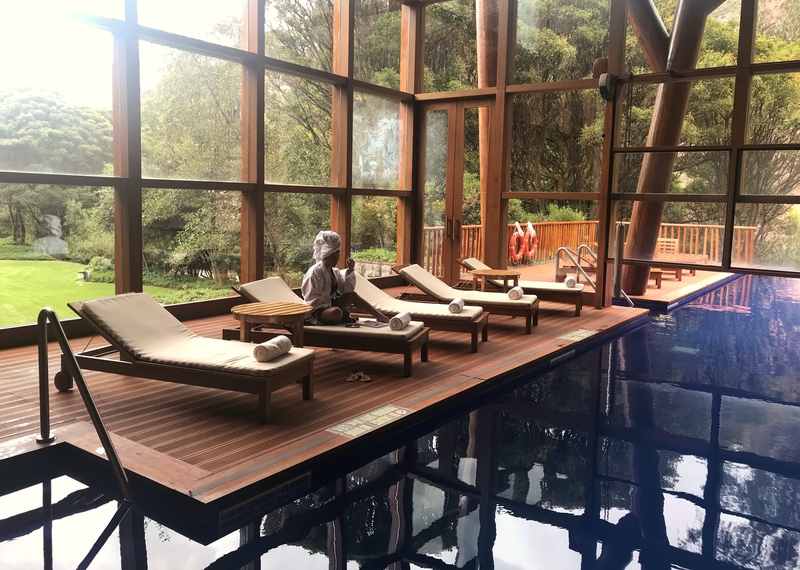 Besides, you’ve already made it this far in your planning and booking a tour to Machu Picchu, which isn’t exactly cheap either, so pamper yourself with an unforgettable experience. On the PeruRail on my way to Machu Picchu. 2. On-site travel agency: The resort’s partner travel agency, Venturia, can help you plan your tour to Machu Picchu and other excursions to nearby towns during your stay. Besides Machu Picchu, I booked a half-day tour with a private guide to the Maras Salt Mines and the Moray archeological park. If you don’t want a guide and want to venture out on your own, you can also reserve a driver. This is what I did to visit Pisaq (the Inka terraces in the town’s archeological park and its market) and Chinchero, a little town dedicated to the production of crafts and textiles in Alpaca, llama, and sheep wool. It’s also worth it to point out that Tambo delInka has its own Peru Rail train station. By booking your Machu Picchu excursion through Venturia, your package will include the ride on the resort-exclusive train. You will get a snack and drinks on board and a fun surprise on your ride back. It’s also worth it to point out that Tambo del Inka has its own Peru Rail train station. 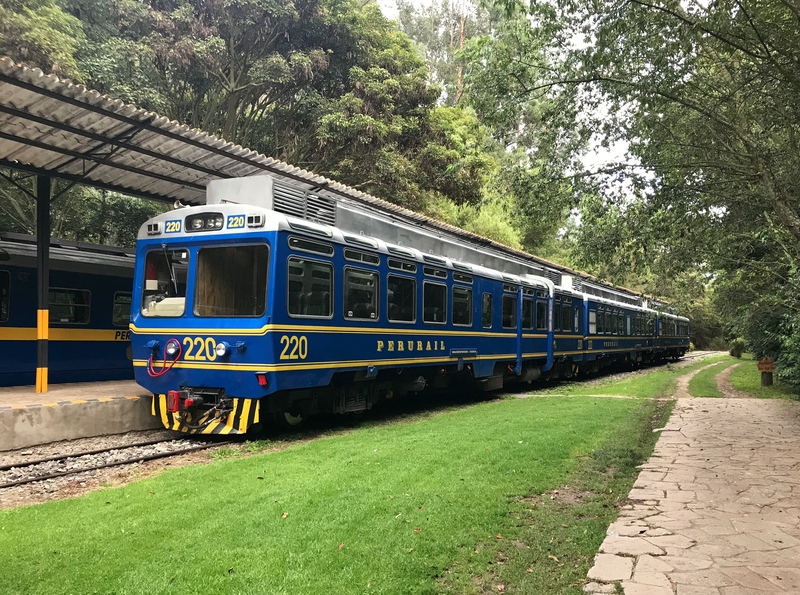 By booking your Machu Picchu excursion through Venturia, your package will include the ride on the resort-exclusive train. 3. Truly relaxing vacation: After a full day’s activity, you can come back and relax at the resort’s Spa! I booked the thermal hydro circuit session, but there are several other relaxing and therapeutic packages to choose from. The rooms are really comfortable and the room service is excellent. 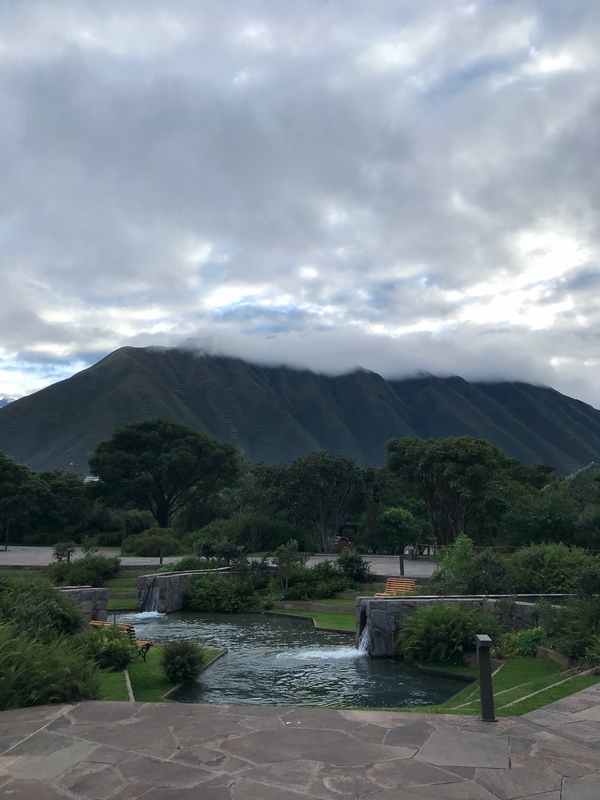 Authentic Quechua cuisine, real Inka décor and live traditional music create a magnificent ambiance and phenomenal dining experience at the onsite restaurant. 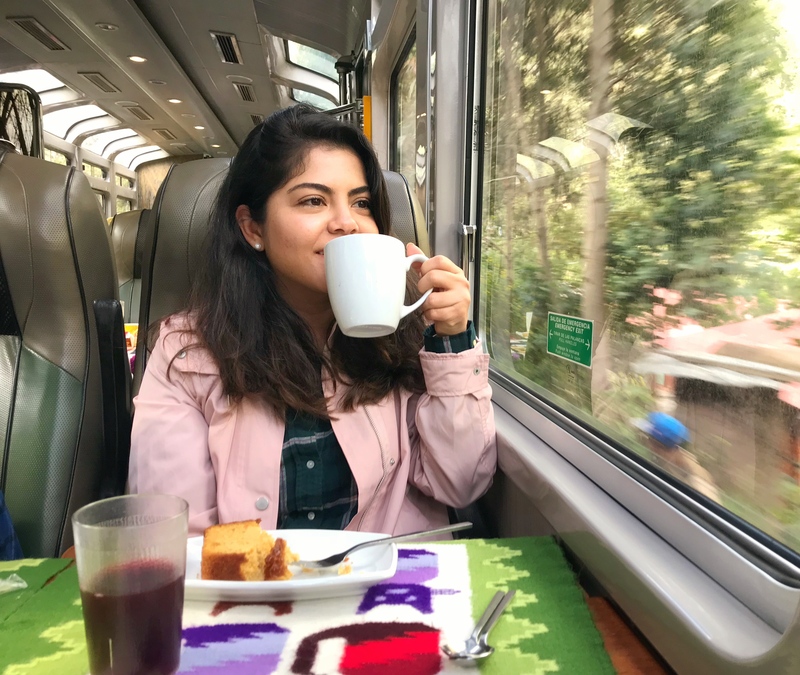 There’s also an amazing breakfast buffet offered in the mornings, with different stations, including traditional Peruvian food, international cuisine, and vegan/healthy options…a foodie’s paradise. 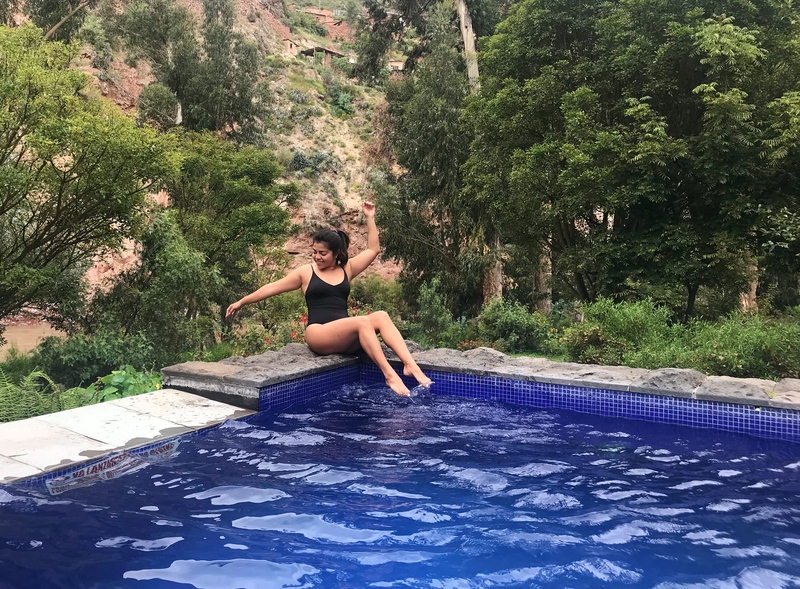 The pool at Tambo del Inka. There’s another indoor pool at a lower level where I did the thermal hydro-circuit session. Don’t mind me….I’m in paradise! So make your trip to the Sacred Valley the best by staying here, you won’t regret it! Have any questions about the resort or my itinerary? Join the club and leave it in the comments below!